This has been a great year for our company. We’ve been fortunate to welcome some amazing brands into the SynergySuite family (including a few you’ll find out about soon). We’ve also added more people to our teams across the globe to meet customer needs and continue developing a robust product. 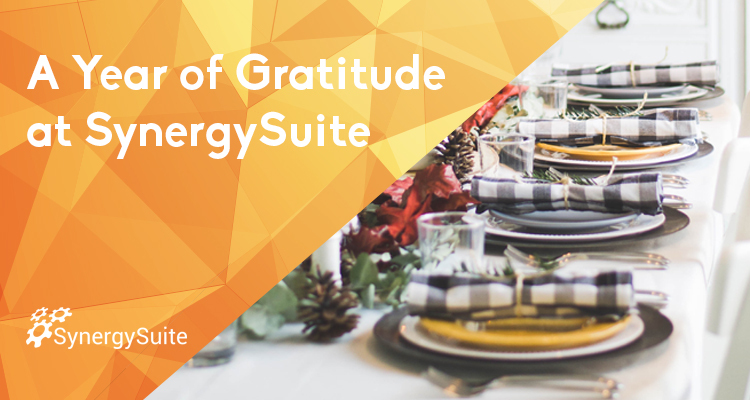 It’s a banner year for the future of SynergySuite and we couldn’t have done any of this without you. Thank you to our customers—those who have been with us since we were a custom shop, and those who joined this week. Every new company that joins our family is a critical piece of our success and we truly appreciate it. Plus a big thanks to our partners that have allowed SynergySuite to become a part of this amazing restaurant technology ecosystem. We feel so privileged to help you! Thank you for the support.